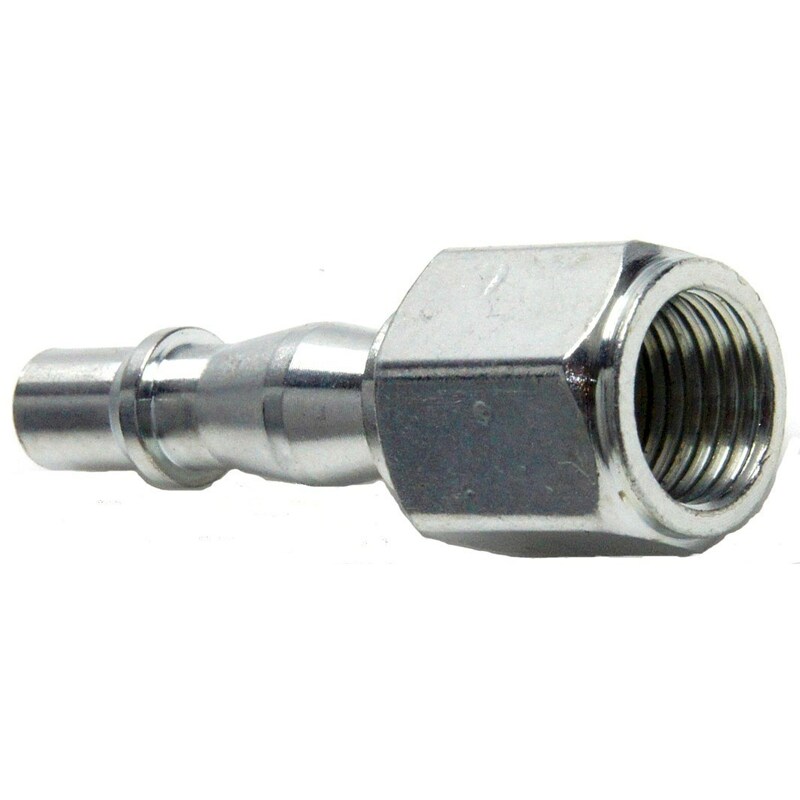 Plated steel, quick release, industry standard connectors. The Male and Female connectors just push together. To release just pull the sleeve around the female connector. Working pressure 90psi. Air consumption 4cfm. Air consumption 6 cfm. Maximum air pressure 100 psi. Air consumption 2.1 cfm Maximum air pressure 100 psi. Air consumption 4 cfm Maximum air pressure 90 psi. SAE Single and Double flare.